March 1857 Supreme Courts issues Dred Scott Decision which declares unconstitutional the Missouri Compromise of 1820. December 4, 1860 Sen. John Crittenden (D-KY), proposes “Crittenden Compromise” which would have prohibited interference with slavery in South. January 29, 1861 Kansas added by Congress with constitution prohibiting slavery. March 4, 1861 President Lincoln inaugurated. May 24 General Benjamin Butler admits fugitive slaves as “contraband” of war. July 23, 1861 Crittenden Resolution passes House of Representatives, declaring objective of war is not to interfere with slavery. August 6, 1861 Congress passed First Confiscation Act which emancipated slaves used in the war against the Union. August 30, 1861 General John C. Frémont orders emancipation of slaves in Missouri. September 11, 1861 President Lincoln asks General Fremont to alter his emancipation degrees. October 1861 Black troops recruited by Union officials in Kansas. November 1861 General Halleck issues Order No. 3 expelling blacks from Union lines. December 1,1861 Secretary of War Simon issue report in which he originally advocated emancipation and use of former slaves in army. December 5, 1861 Bills to abolish slavery introduced in Congress. March 6, 1862 President Lincoln requests Congress to pass a joint resolution urging compensated emancipation. March 10, 1862 President Lincoln meets with Border State congressmen about compensated emancipation. March 13, 1862 Congress passes legislation which forbade the army and navy forcibly to return runaway slaves to their masters. April 3, 1862 Senate votes to abolish slavery in District of Columbia. April 3, 1862 General David Hunter ask permission to use former slaves in army. April 7, 1862 House appoints Select Committee on Emancipation and Colonization. April 11, 1862 House votes to abolish slavery in District of Columbia. April 13, 1862 General Hunter frees slaves behind union lines in Department of South. April 14, 1862 President Lincoln signs bill emancipating all slaves in District of Columbia and territories. April 24, 1862 Senate approves anti-slave trade treaty with Britain. It also authorizes diplomatic representation to Haiti and Liberia. May 9, 1862 General David Hunter frees all slaves in Department of South. May 19, 1862 President Lincoln revokes General Hunter’s emancipation of Blacks in Southern Department. June 19, 1862 President Lincoln signs legislation abolishing slavery in territories. June 19, 1862 President Lincoln discusses idea for Emancipation Proclamation. July 4, 1862 Senator Charles Sumner pushes President Lincoln for emancipation. July 11, 1862 Congress approves legislation implementing anti-slave trade treaty with Britain. July 12, 1862 President Lincoln meets with congressional representatives of border states to push for compensated emancipation. Senate passes compensation bill and sends to President. July 14, 1862 President proposes bill for compensated emancipation. July 17, 1862 Congress passes Second Confiscation Act prohibiting forcible return of slaves from one state to another. President Lincoln approves. July 17, 1862 Militia Act passed which authorizes use of black soldiers and emancipation of former slaves-turned-soldiers of rebel masters. Under the act, black soldiers were to receive pay at a rate $3/month less than white soldiers. July 21-22, 1862 President Lincoln discusses emancipation proclamation with Cabinet. August 6, 1862 President Lincoln tells a group of Westerners that he would use blacks as laborers but not as soldiers. August 10, 1862 General David Hunter dissolves his black regiments. August 14, 1862 Delegation of Black leaders visits President Lincoln, who advances his ideas about colonization in Central America. August 21, 1862 Confederate War Department authorizes Generals David Hunter and John Phelps held if captured for execution for their role in authorizing recruitment of black Union troops. August 22, 1862 President Lincoln announces to Cabinet that he has drafted Emancipation Proclamation. August 22, 1862 General Benjamin Butler issues General Order No. 63 to enlist colored volunteers, known as the Native Guards, in his army. August 25, 1862 Blacks were officially accepts into the Southern Department of the Union Army under an order by Secretary Stanton to General Rufus Saxton. September 11, 1862 President Lincoln authorizes contract with Chiriqui Improvement Company opening Panama to colonization by ex-slaves. September 17, 1862 Battle of Antietam. Confederate retreat after Battle of Antietam provides Union “victory” needed for Emancipation Proclamation. September 22, 1862 Cabinet meeting at which President Lincoln announces Emancipation Proclamation. October 1862 Black troops involved in Union incursions into Missouri from Kansas. November 1862 Attorney General Edward Bates issues ruling that citizenship is conferred on the basis of birthplace. November 30, 1862 Death penalty ordered for five blacks taken as Confederate prisoners. December 2, 1862 President’s Annual Message to Congress in which he pushed for compensated emancipation. December 9, 1862 Legislation introduced in U.S. House authorizing 100 black regiments. December 30, 1862 Workers of Manchester, England send President a proclamation praising his stand on slavery. January 1, 1863 President Lincoln signs Emancipation Proclamation. January 14, 1863 President Lincoln against General John Dix about the potential use blacks to garrison Yorktown and Fort Monroe. February 1863 Robert Gould Shaw appointed colonel of 54th Massachusetts Regiment of black troops. March 1863 Department of Army begins to encourage black recruitment. March 16, 1863 Secretary of War Edwin M. Stanton appoints American Freedmen’s Inquiry Commission. March 25, 1863 Secretary of War Stanton places General Lorenzo Thomas in charge of black recruitment in the West. March 26, 1863 West Virginia votes for gradual emancipation. April 24, 1863 General Ulysses S. Grant issues General Orders No. 100 which granted blacks specific protection under standard practices of war. May 22, 1863 War Department issues General Order 143 to establish standards for black recruitment and establish Bureau of Colored Troops. May 23, 1863 54th Massachusetts, first black regiment, parades in Boston. May 27, 1863 Black soldiers fought in the Battle of Port Hudson in Louisiana, the first major battle in which they participated. June 7, 1863 Confederate attack at Milliken’s Bend is repulsed by black soldiers. July 13, 1863 Draft riots in New York City. Colored Orphan Asylum is burned. July 18, 1863 Colonel Shaw leads 54th Massachusetts in assault on Fort Wagner. Summer 1863 Exchange of Union and Confederate soldiers suspended. August 10, 1863 Frederick Douglas and Senator Samuel Pomeroy to discuss problems of black soldiers. November 5, 1863 Louisiana blacks ask Louisiana’s military governor for voting rights. December 8, 1863 President Lincoln issues Proclamation of Amnesty and Reconstruction. March 1, 1864 House passes legislation to create Freedmen’s Bureau but Senate doesn’t act on legislation. March 12, 1864 Louisiana blacks meet with President Lincoln. March 15, 1864 President Lincoln transfers civil authority in Louisiana to a civilian governor. March 16, 1864 Arkansas state constitution abolishes slavery. April 6, 1864 Louisiana abolishes slavery. April 8, 1864 Senate votes Thirteenth Amendment abolishing slavery. April 12, 1864 Confederate General Nathan B. Forrest attacks Fort Pillow; blacks defending the fort were murdered or enslaved — causing an uproar in the North. April 1864 Louisiana constitutional convention meets, abolishing slavery in the state. 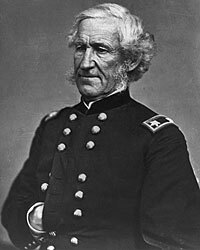 May 11, 1864 Stephen A. Swails is commissioned as second lieutenant by Massachusetts Gov. John Andrew. June 13, 1864 War Department rules that black slaves in Kentucky may be recruited for Army despite opposition of their white owners. June 15, 1864 Thirteenth Amendment defeated in House of Representatives. June 15, 1864 Congress passes legislation authorizes equal pay for black troops retroactively to January 1, 1864. June 1864 War Department relieves black troops of predominant burden for constructing fortifications. September 5, 1864 Louisiana State Constition is ratified abolishing slavery. September 6, 1864 Maryland abolishes slavery. September 1864 Delegation of Maryland blacks present inscribed Bible to President Lincoln. November 8, 1864 Re-election of President Lincoln. December 3, 1864 XXV Corps formed of black soldiers under Major General Godfrey Weitzel. December 8, 1864 President Lincoln’s Annual Message to Congress. January 6, 1865 House Representatives begins debate on Thirteenth Amendment. January 31, 1865 Thirteenth Amendment passed by House of Representatives. February 1, 1865 President Lincoln signs Thirteenth Amendment – though his signature was not authorized or required. February 5, 1865 President proposes to Cabinet a message to Congress for compensated emancipation. The Cabinet unanimously rejected it, effectively killing the idea. February 26, 1865 Martin R. Delany commissioned as a major in Department of South. March 3, 1865 Legislation setting up Bureau of Refugees, Freedmen and Abandoned Lands set up by Congress. March 4, 1865 Second Inauguration of President Lincoln. March 13, 1865 Confederates authorize recruitment of black soldiers. April 11, 1865 Final public address by President Lincoln in which he argues for limited black suffrage and readmission of Louisiana. December 18, 1865 Thirteenth Amendment goes into effect.